Owning an exclusive car is an aspiration for a lot of people and many of these people also have an aspiration to make their vehicle unique by the addition of an exclusive personalised number plate. Adding a personalised number plate will certainly make your vehicle unique. Is the Broker DVLA Recognised ? The assignment of a new registration to your vehicle will need to be managed in accordance with the Cherished Marks Transfer Regulations and you will need to ensure the Broker is familiar with the regulations. A good indicator of this will be the Broker having DVLA recognition as a reseller of cherished marks. You can visit the DVLA website to check if the Broker is DVLA Recognised. Alternatively the dealer will declare this on their own website. There are several investment advantages of owning a personalised number plate but that does not mean you need to be careless with your money. You can research prices on the same personalised number plate across brokers in the market place. The most efficient way to do this is via the internet. Find the number plates that you like and check out prices across reputable and well established brokers via their websites. When purchasing from a reputable broker you will be able to secure a personalised number plate by making a deposit payment on-line through a secure payment system. Subsequent balance payments can be made by cheque, BACS transfer, by debit or credit card. Make sure you are aware of card handling fees on credit cards as these can be excessive with some brokers. Premier Plates UK charge a 2% card handling fee on credit cards only which is one of the lowest charges in the market. 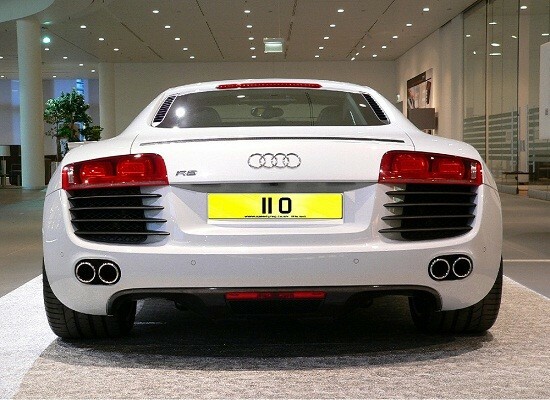 Buying a personalised number plate from a broker or at auction can give very different results. Auctions can provide very unusual results with prices varying hugely for standard numbers. This can be driven by competition for a particular number where more than one party have their sights set on securing a specific number. For this reason you should go to an auction or submit bids at an auction with a very specific budget based on your research of prices achieved at previous auctions. Buying from a Reputable Broker will ensure you are buying from a Professional organisation with market prices representative of market value. Reputable brokers will avoid over pricing of personalised number plates as they have their reputation to protect in the market place.